One of the World Festivals that you won't want to miss is the Holi Festival of Colors, celebrated by Hindus around the world. Holi as define in Wikipedia, is a spring festival in Nepal and India. Also known as the festival of colors or the festival of sharing love. It is celebrated with spraying of colors and water, a dance party and eating festival India delicacies. It begins on the Purnima (Full Moon Day) falling in the Bikram Sambat Hindu Calendar . Most part of North India celebrates HOLI at the end of winter season on the last full moon day of the lunar month Phalguna (Falgun) which usually falls in the later part of February or March. 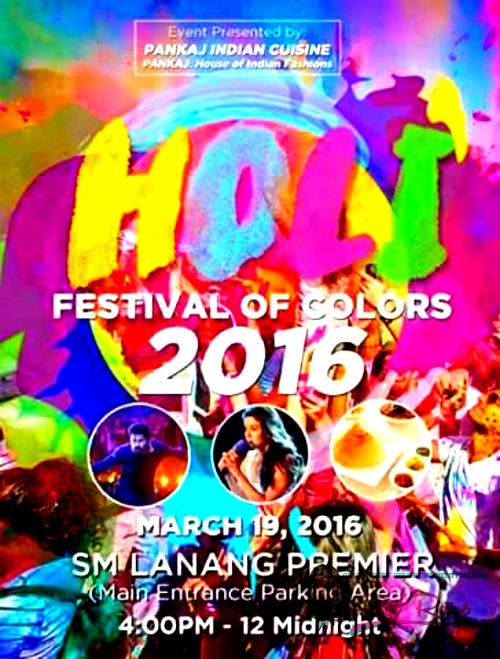 Last year, Davao City celebrate Holi Festival on March 7 at 2PM to 12 midnght at the SM Lanang Premier near the fountain court area. 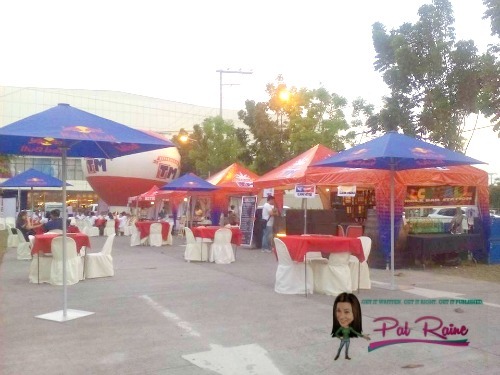 This time, the event was move on the third week of March, exactly March 19, 4PM to 12 midnight in the main entrance parking area. When I heard about it and get the chance to attend the event, I voluntarily get our complimentary pass at Pankaj Indian Cuisine (one of the major sponsors aside from TM) and meet Ms. Juvy Sta. Maria (the organizer). The main objective of the event is to strengthen the relationship between the community of Indian nationals and with the Dabawenyos (people of Davao City). As of now, there are about 5,000 students enrolled in different universities and a quiet numbers of Indian doing business here in Davao. 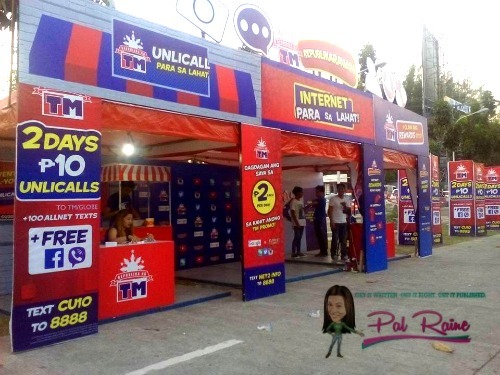 Upon entering, you will get 1 free sim pack from TM, 1 pack of colored powder and 1 complimentary drink. 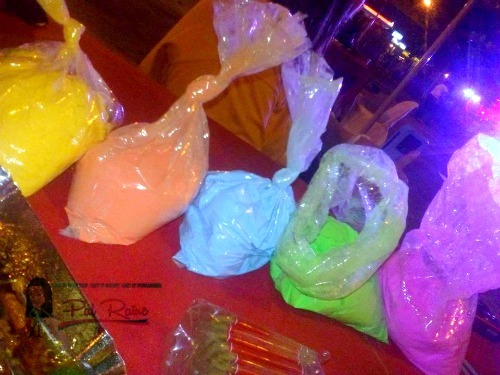 And because we are 5 in our group we also get 5 packs of Gulal Holi Colored Powder. It is a non-toxic, water soluble, environmental friendly and allergen-free. The colors are brilliant, safe to use (no harmful ingredients) and the fine dust is extremely low and very comfortable to skin and hair. 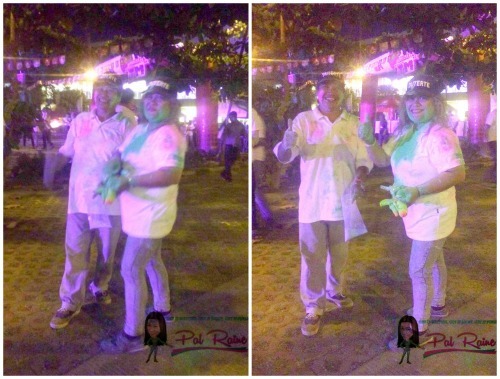 They encourage the participants to wear white shirt to make the color visible. I am lucky enough to experience the culture of the Indians as well as enjoying to see them celebrating the Holi Festival. 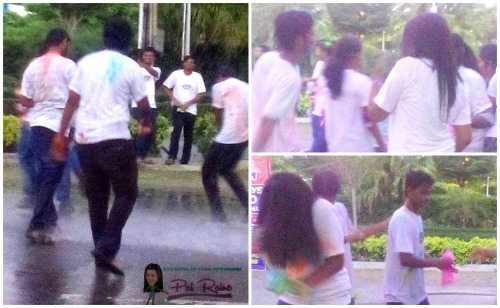 Kids are having fun time playing with the water and holi colored powder. As well as with the adults, in a more matured way celebrating it with much love, camaraderie and unity. Attending this kind of an event is just a reflection of how colorful life is when there is PEACE and HARMONY between two different cultures. 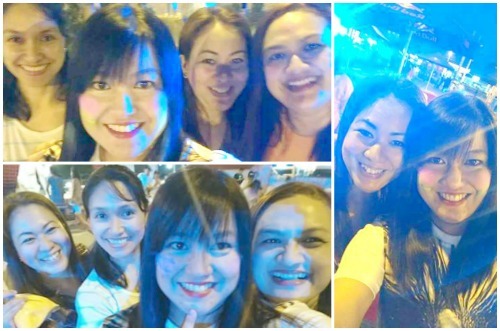 I hope others like LATINO, KOREAN, CHINESE, EUROPEAN, AMERICAN et al nationals will hold this kind of multicultural collaboration forming a different cultural groups work together and held it here in the Philippines specifically here in Davao City. Culture is one of the most powerful forces in our world. It's central to what we see, how we make sense of our world, and how we express ourselves. As people from different cultural groups work together, values sometimes conflict. When we don't understand each other we sometimes react in ways that make a partnership ineffective. Often we're not aware that cultural differences are the root of miscommunication. That is why in an event like holding a Cultural Festival it enriches everyone's life when there is shared knowledge of cultures. Wow! I didn't know Holi was popular outside India. Thanks for sharing this. Great to see those photos! Wow! Mixture of colors and love is creamy fun to the soul! Learning different cultures and beliefs from other parts of the world is great to humanity. Thanks for sharing, Raine. What a great festival. Just thinking about colors I can imagine how fun and exciting that can be. I love the pictures you've taken! Just by looking at them, it makes me miss the festivals in the Philippines...Masskara to be ultra-specific. I used to have a perfect attendance for that festival. lol Thank you for sharing. I'd love to experience this myself some day. What a great cause behind the event. Strengthening ties between communities is important! How I loved this post! Holi is a festival which goes beyond the boundaries of countries, religions, languages...it teaches us to celebrate all the colors of life. Thanks ! 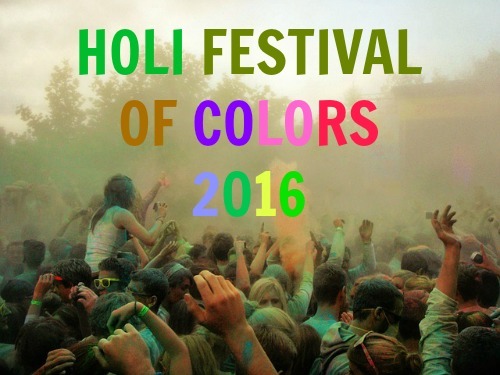 This is the first time I've heard of Holi Festival. It's always great to celebrate colors and sharing love. I would have loved to be a part of this festival! Looks like you guys had so much fun! Nice and fun festival, we have such similar event too but its called color run whereby we splash colored powder on each other while we run. 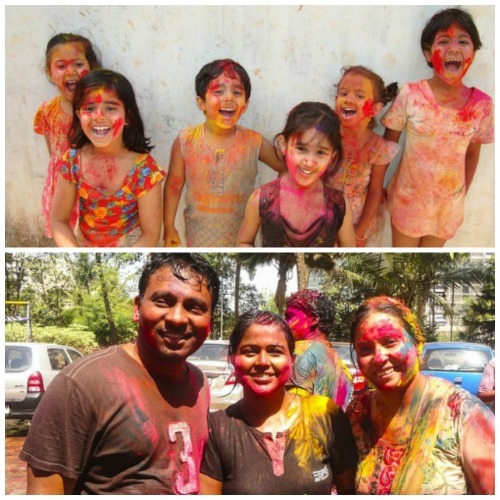 It is indeed a wonderful festival of colours and we did celebrated here with family. Hope to share it on my blog soon. I love playing with colors. 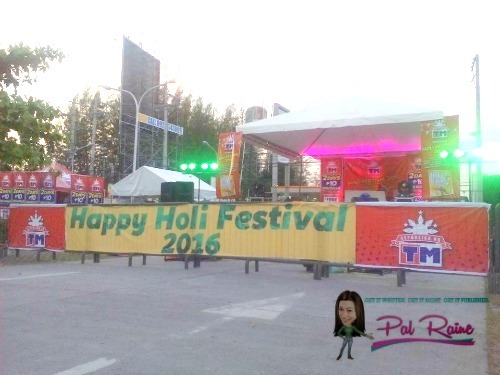 It looks really festive especially with the rainbow of colors around you. This looks like a fun and very colorful adaptation of an Indian holiday. Care should be taken to prevent people from smoking in that area though as fires can be caused. That's pretty awesome that they have a version of the celebration there as well. I would love to be in Jndia for the real thing, def a bucket list item. These festivals have always fascinated me. They are beautiful, but I would worry about inhaling the powders or getting it in my eyes. Always wanted to participate in a Holi festival, even my country has one but never had the chance due to my busy schedule.